Magazines list of the countrys 500 fastest-growing private companies; the First Coast Fast 50 five times; and one of the Top 250 Staffing Companies in the US. Doug provides Potentiae clients deep expertise in operational and financial analysis. His experience allows him to collect relevant data and understand the details in a way that provides for unique insight and effective recommendations. During his tenure at ATS, he presided over the acquisitions and divestitures of more than a dozen companies, growing it from five to 30 locations and $15 to $50 million in revenue. Prior to joining ATS, he served as a public accountant with Ernst & Young. 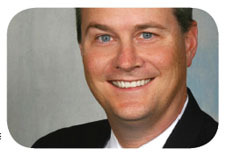 Doug is a licensed Certified Public Accountant, with a degree from the University of North Florida. He is a graduate of Leadership Jacksonville, and a member of both the American and Florida Institutes of Certified Public Accountants. Doug serves on the boards of the MaliVai Washington Kids Foundation and the UNF Osprey Baseball Alumni Club. He enjoys coaching his two sons various sports teams and spending time with his family. © 2009 Potentiae, Inc. All rights reserved.